Italian yard Otam Yachts has teamed up with Niccolo Pasquini and Alessio Riccobaldi of the R+P Architecture studio for its latest concept, the 35 metre Otam 115. 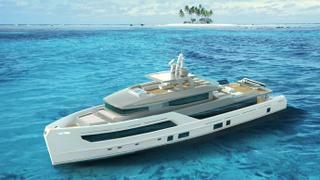 Building on the World Superyacht Award-winning success of the 35.2 metre Gipsy, this new steel and aluminium design, which was developed in response to a client request, would be the second member of the Otam custom range if built. Despite the similar length to Gipsy, the styling is diametrically opposed, with a much more sleek, modern exterior aesthetic and a more traditional layout. 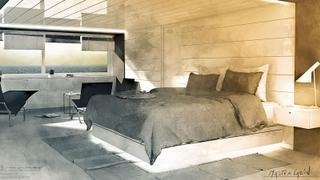 A key example of this is the main-deck master suite, which measures 51.7 square metres and features a walk-in wardrobe. 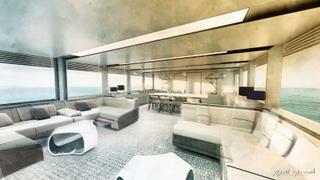 Four further guest cabins on the lower deck are equally sized, covering a total area of 70 square metres. Meanwhile, the crew quarters allows of a staff of up to seven people, including a bridge deck captain’s cabin. The superyacht beach club is offered in a choice of two configurations, with the option for a side-loading tender garage or a more traditional transom garage for a 4.5 metre jet tender and a 4.5 metre rescue boat. Al fresco relaxation options are plentiful, with a 30 square metre foredeck – ideal for dining away from prying eyes – as well as a large upper deck aft, which can be used to house a seven metre tender if required. 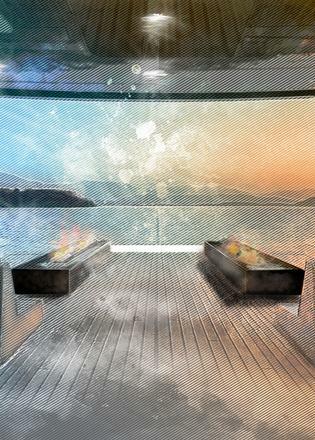 Finally, the 50 square metre superyacht sundeck boasts a Jacuzzi, sunpads, bar and sheltered dining area. The engine installation and performance figures are undisclosed at this stage, however Otam adds that it has placed a strong emphasis on engine room space and a functional layout. 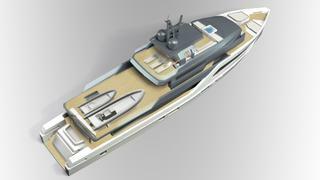 Other superyacht projects currently under development at the Italian yard include the Otam 100HT, which was revealed at last month’s Cannes Yachting Festival.